New facilities, ready for you! 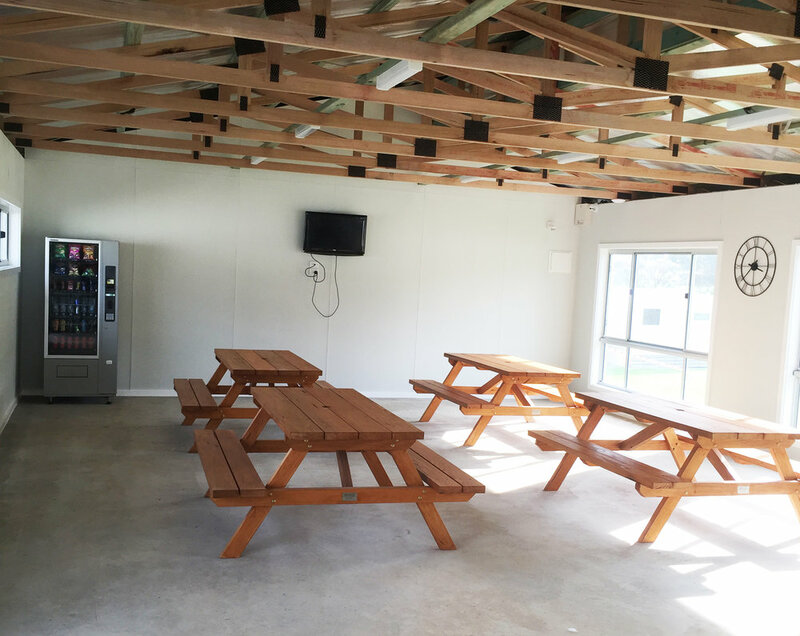 Our new camp kitchen is decked out with all of the appliances you need to cook a great meal any time of the day with 2 free electric bbq's, a microwave, fridge, electric hot plates, 2 toasters, 2 kettles, TV and a vending machine. Free Wi Fi. Our bathroom and laundry amenities have been recently updated and are kept clean and tidy ready for our visitors.